We are pleased to announce the arrival of the Enzo trolley, a new addition to our popular Enzo range. Compact and modern, the Enzo side trolley is also extremely versatile. 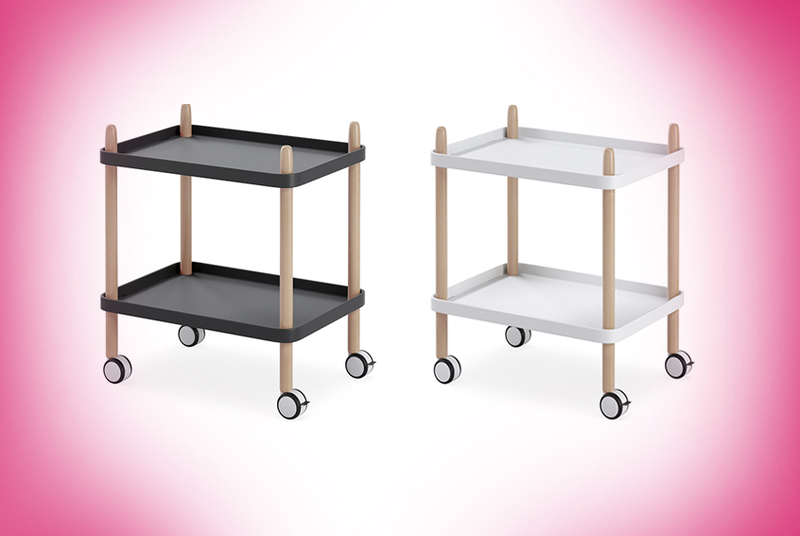 From cafeteria trolley, to under desk storage or as a side table, Enzo offers practical mobile storage. Mounted on lockable castors, Enzo is easily moved around and keeps everything close at hand. With two easy to clean polypropylene trays and available in black or white, Enzo inspires fun and creativity. Featuring solid wooden beech legs, the Enzo trolley can be matched with a variety of our chairs for a perfectly on trend space. To add some fun storage to your office, buy an Enzo now.